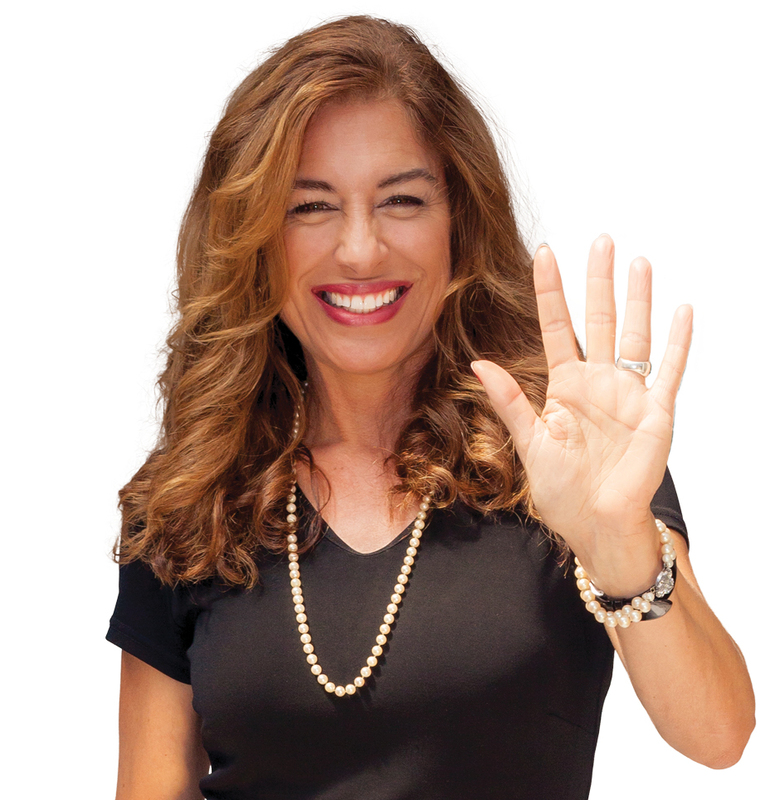 Take 5 and Cook uses just 5 ingredients in every recipe! 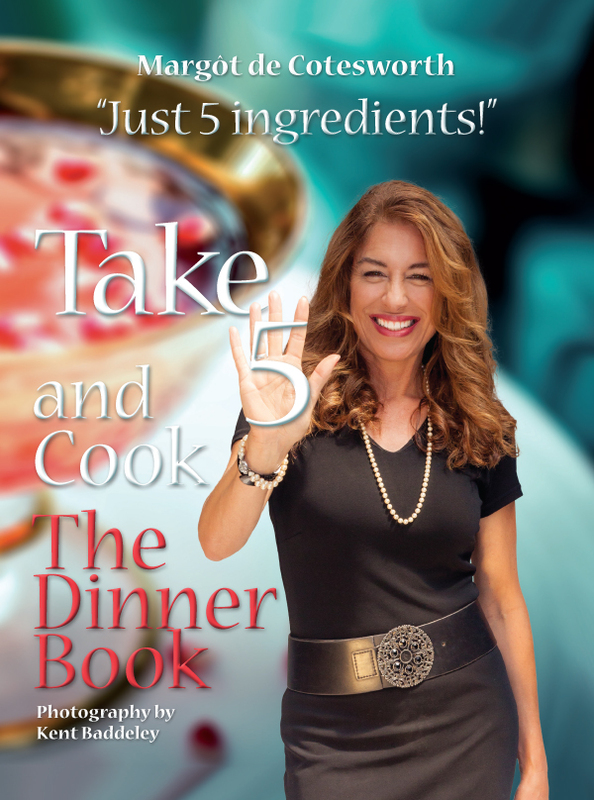 The Dinner Book contains 120 simple recipes and beautiful photos.Take charge, take heart, Take 5 and Cook! Dimensions: 220 x 290mm. Hardcover. 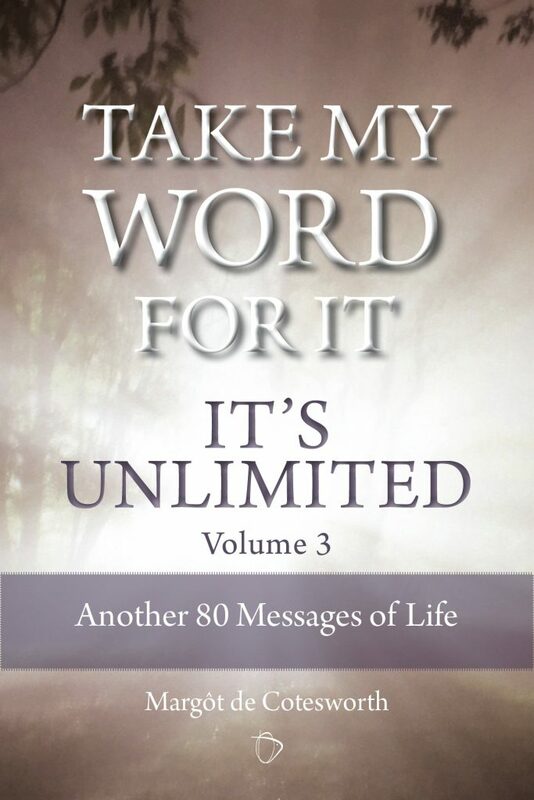 Powerful, positive words that will change your world everyday. 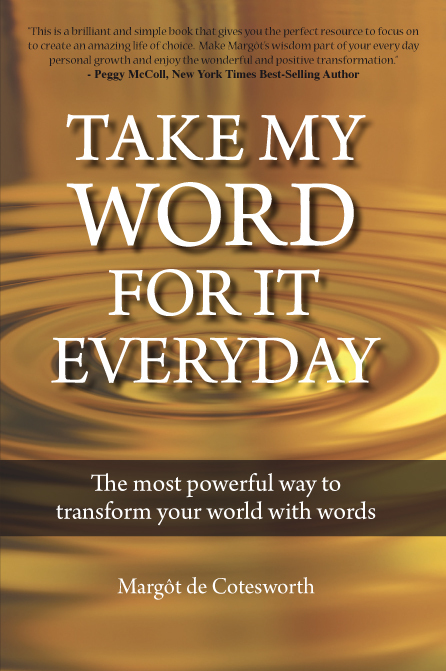 This book is based on the principle that the things we focus on are drawn into our experience, not what we want but rather what we actually believe — Everyday of the year. 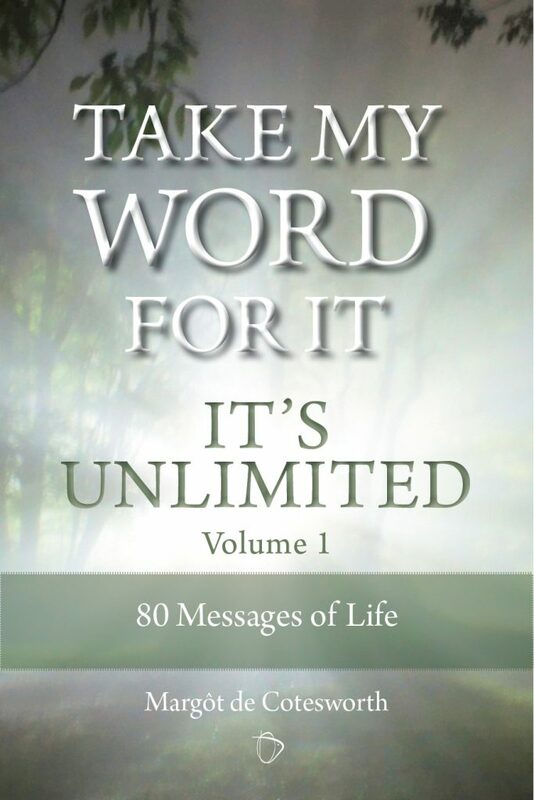 Your Own Private Record of the Transformational Power of Positive Words in Your Life. 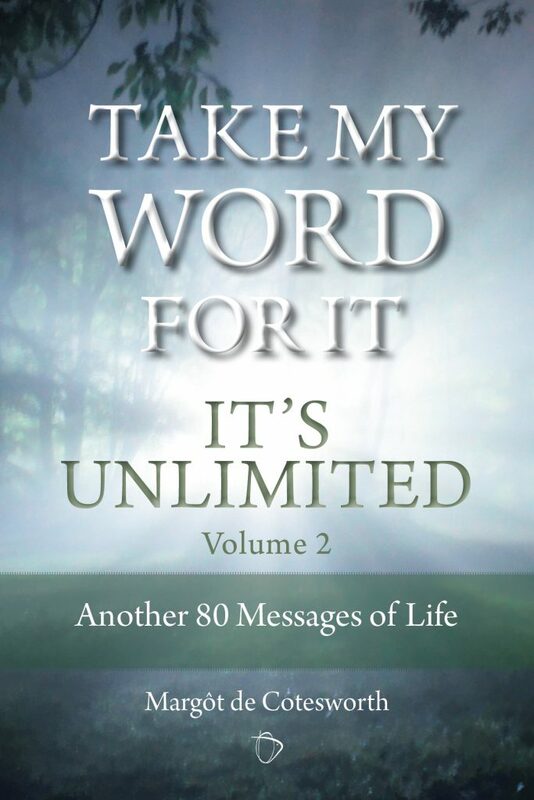 In these messages, the Universe appears to be saying: just relax and enjoy. Tune in, pay attention, listen, then follow the leads you are given and it’s all going to unfold beautifully according to the Master plan. 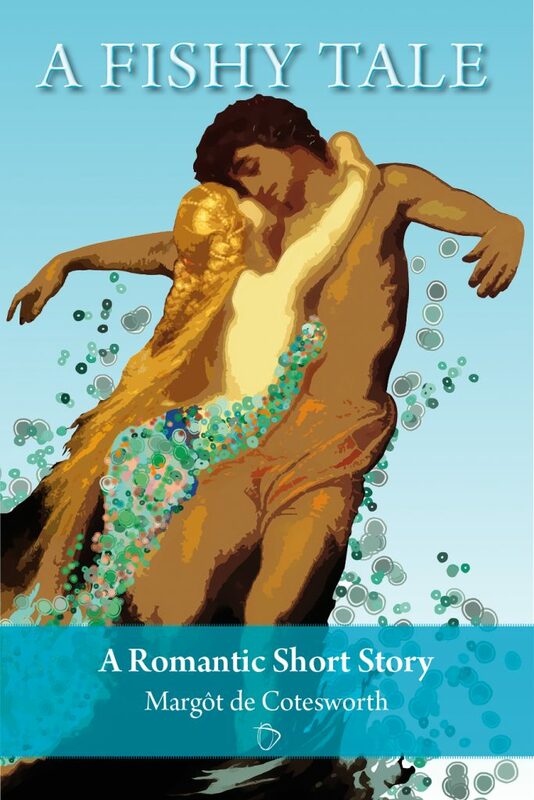 Volumne 2: In these messages, the Universe appears to be saying: just relax and enjoy. Tune in, pay attention, listen, then follow the leads you are given and it’s all going to unfold beautifully according to the Master plan. 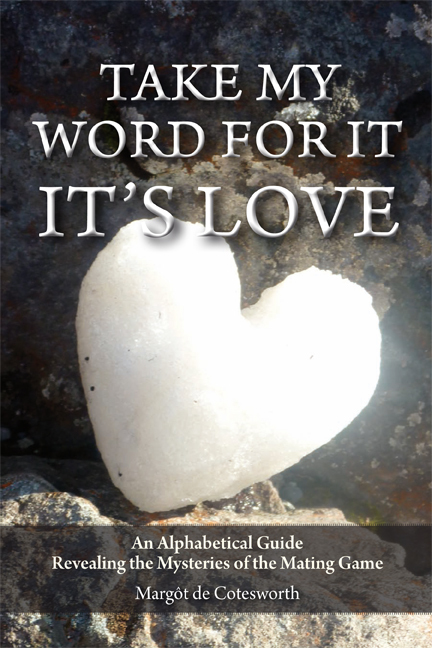 TAKE MY WORD FOR IT — IT’S LOVE is also about our quest for a better life. 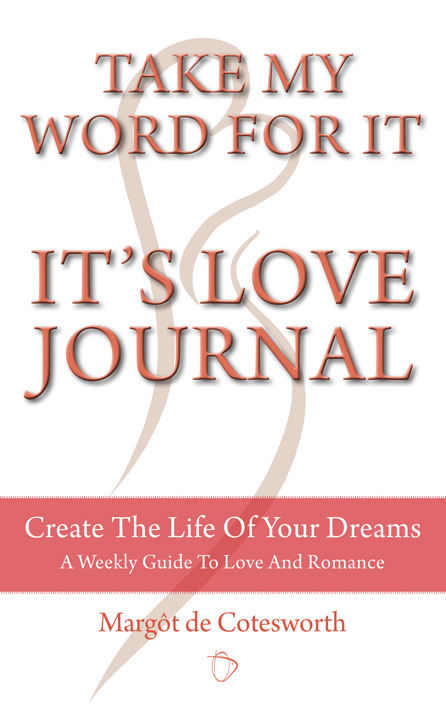 With 80 words of love and romance, I will take you alphabetically — beginning with a dictionary definition of the word — along a path of attracting the quality of love that we all seek. 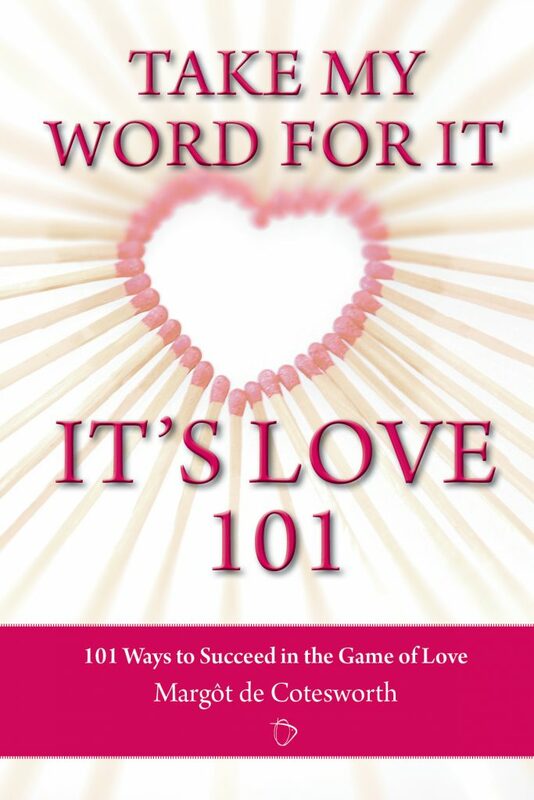 IT'S LOVE 101 is the third book in the TAKE MY WORD FOR IT series and offers 101 Ways to Succeed in the Game of Love. 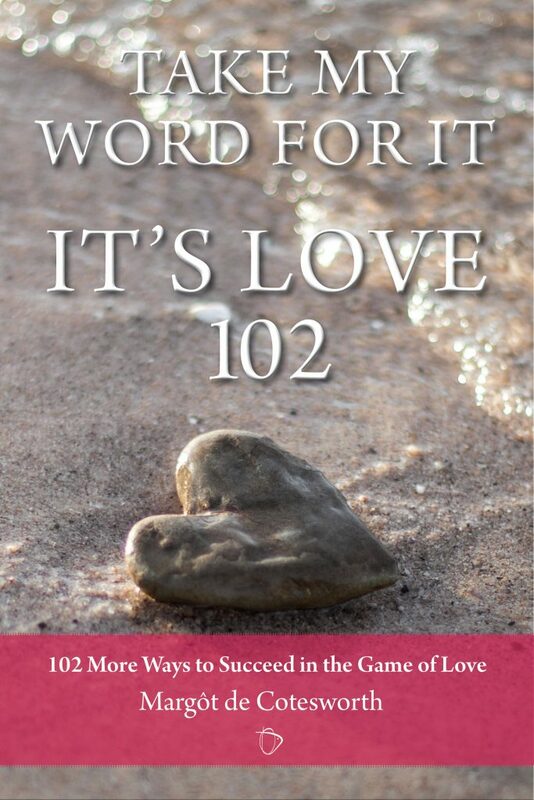 Continuing the IT'S LOVE series, IT'S LOVE 102 offers even more ways to succeed in the Game of Love. Each week we take something new to focus on — a word, a poem, a thought or a recipe to share. 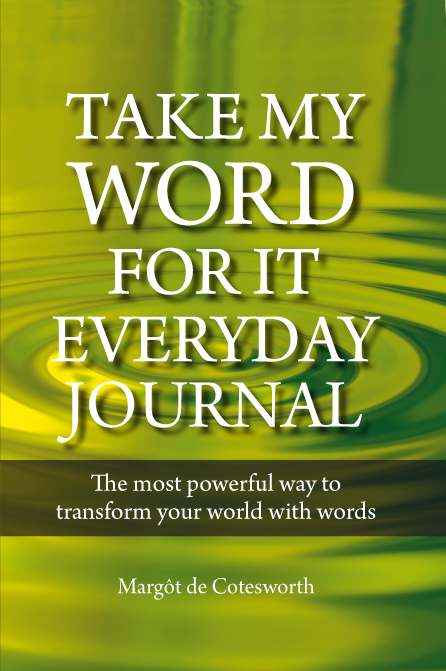 Use your journal to make your own notes and record just how the power of positive words works in your life, and how your attitude can transform your relationship. In all of life, every beginning has an end – but at the beginning we do not always know what the end will be. Remember, if you go fishing, you may just catch what you hoped for.